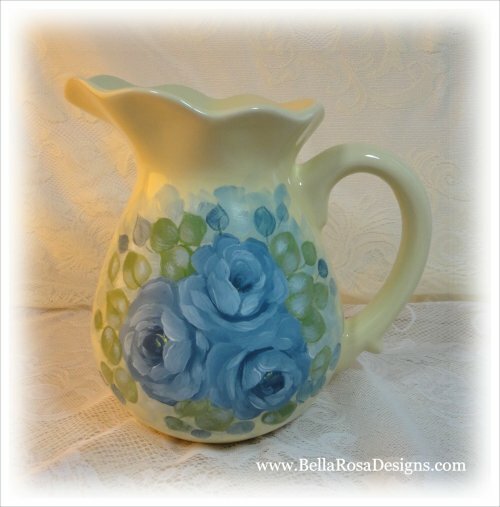 Lovely vintage ceramic pitcher has been hand painted with pretty blue roses. Both sides have been painted for a pretty look all the way around. 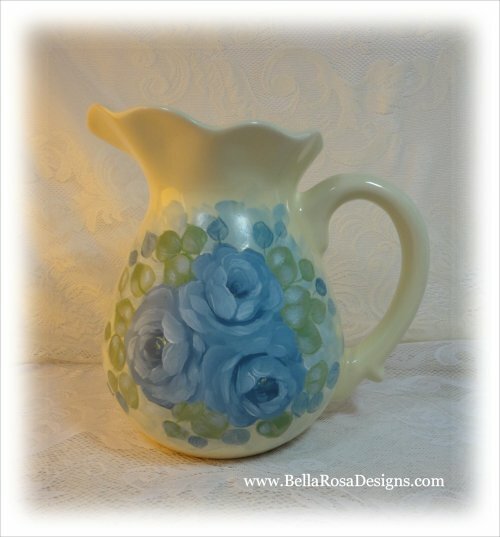 I would describe the color of the pitcher as cream, almost a pale yellow but more cream. 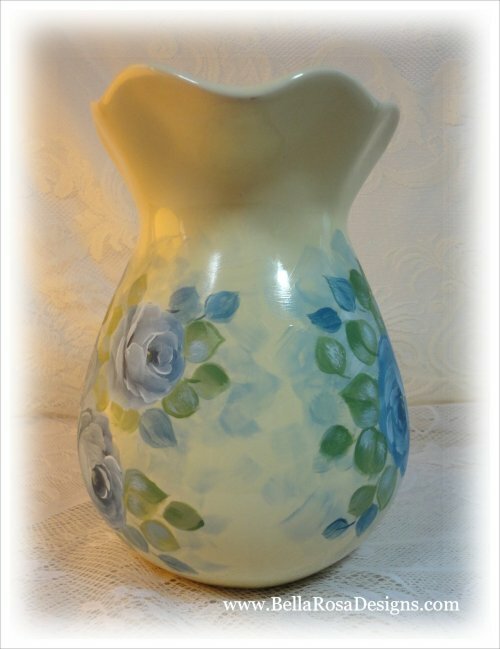 This pitcher measures 7" tall by 8" wide. 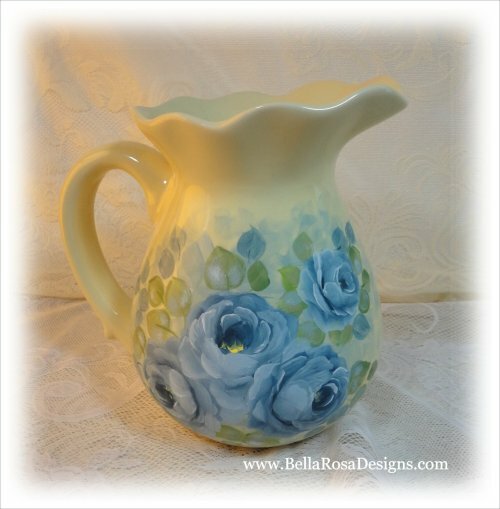 Because of the hand painted roses, the pitcher should not be immersed in water for cleaning, just wipe gently with a soft, slightly damp cloth. 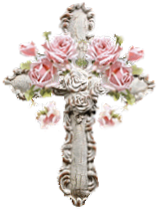 This is a one-of-a-kind piece, an original design signed by the artist, Cherie Perry - that would be me :) Perfect for the romantic, shabby chic, French, cottage, country and Victorian style of home decor. Questions? 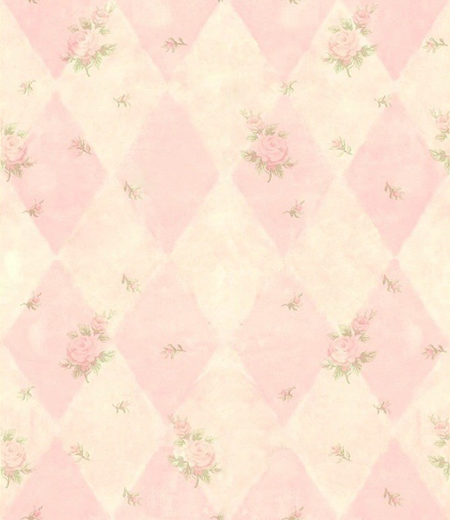 Click here to email.